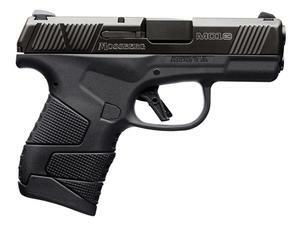 The new Mossberg MC1sc was designed to be carried. Its slim and dehorned profile allows for a snag free draw. Weighing only 22 ounces full loaded, its lightweight and durable polymer construction is ideal for everyday carry. The textured and palm swell offers a natural and comfortable grip.